… is a book I’m slowly working on. Click the image above to see it in its current state. It is not complete. 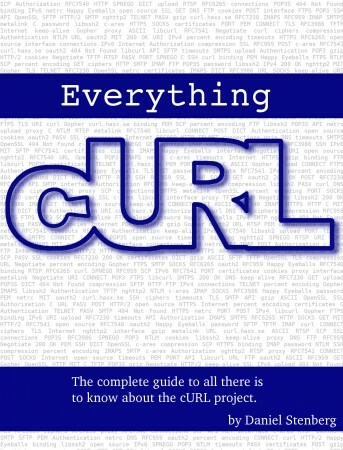 As the title should hint, I intend to cover just about everything that is to say about curl. The project, the products, the development, the source code, its history, its future, the policies, the ideas and whatever else that I can think of has anything to do with curl. I welcome and encourage all the help I can get. The source is all written in markdown, and everything is on github. File issues, send pull-requests or whatever you can think of! I’m especially interested in getting suggestions for new sections that I haven’t yet thought about. Or sub sections, or examples. Or some fun stories from the wild Internet that you overcame with the help of curl. Or suggestions on where we should insert images (and what images to insert). Or other artworks, like a nicer cover. Anything! If things go as planned, I have filled in most of the blanks by the summer 2016 and can then offer the complete curl book. 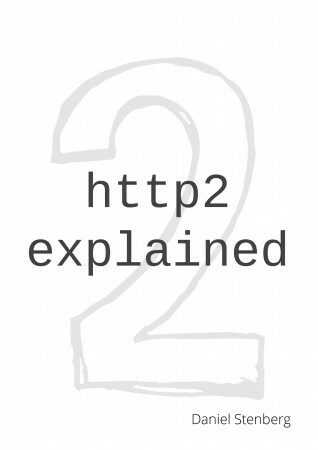 After twelve releases and over 140,000 downloads of my explanatory document “http2 explained“, I eventually did the right thing and converted the entire book over to markdown syntax and put the book up on gitbook.com. Better output formats, now epub, MOBI, PDF and everything happens on every commit. Better collaboration, github and regular pull requests work fine with text content instead of weird binary word processor file formats. Easier for translators. With plain text commits to aid in tracking changes, and with the images in a separate directory etc writing and maintaining translated versions of the book should be less tedious. I’m amazed and thrilled that we already have Chinese, Russian, French and Spanish translations and I hear news about additional languages in the pipe. I haven’t yet decided how to do with “releases” now, as now we update everything on every push so the latest version is always available to read. 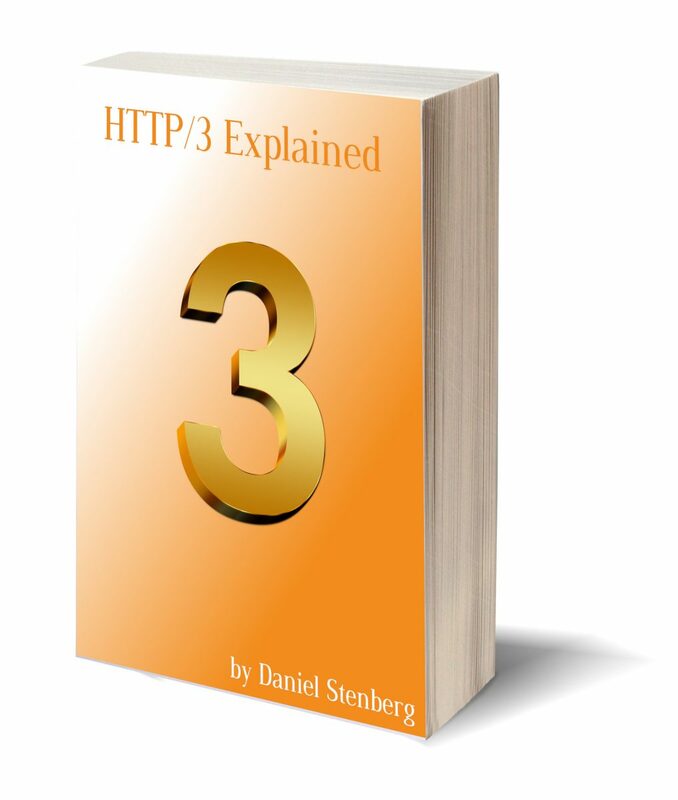 Go to http://daniel.haxx.se/http2/ to find out the latest about the document and the most updated version of the document. Thanks everyone who helps out. You’re the best! For those who like me enjoyed Dreaming In Code, it’s noteworthy to see that Mitch Kapor now ends his involvement in OSAF and the Chandler project. Here’s Mitchell Baker’s view on his helping the Mozilla project (she is or used to be a Mozilla hotshot), and perhaps also interesting the official post about this all in the Chandler camp. Large portions of it feels of the age and there’s a lot of talk about Fortran, System/360 and PL-1 as if we should know about them (which made me fast forward over some chapters). But there are gems as well, and the most significant things people seem to remember Brooks’ book for are still pretty valid and fine. Adding more people to a project leads to the need for more communication and thus it may slow down development rather than speed it up. Also known as Brooks’s law. The risks involved when rewriting something and wants to fix everything that was wrong in the previous version so you over-work and over-design the successor. The so called Second system effect. 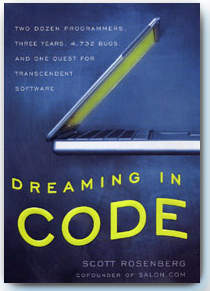 A lot of the book is spent on thoughts and theories around how to manage really really large software projects, like when you involve thousands of persons. Is it even possible to make such huge projects successful and if so, what does it take? The extra chapters do indeed add value since they offered Brooks a chance to re-evaluate his earlier claims and ideas and to check what seemed to be truths and what mistakes he did in the original edition. A very interesting read that I’m glad I finally got time to get through! 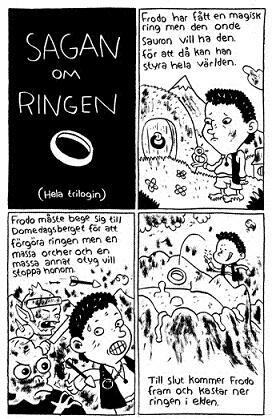 Henrik Lange is the author and illustrator of this book in Swedish that contains 80 international and some Swedish novels, each concentrated down to a single-page comic strip consisting of four squares only, and then one of them is “wasted” on the title! They’re often really witty and yet they capture the core and culprit of the novels, and with fine illustrations to go with that! It’s a great and fun read and one of those books you can have lying around and just read a random page every now and then and enjoy them every time. Recently I’ve read two books (in Swedish) about China and the Chinese, and I’ll offer some quick reviews on them here. This is a 320 page story about the author’s trip to China. She studies Chinese, lives in China, travels around and eventually gets a work there. We get to follow the cultural clashes when a blond Swedish woman faces the (traditional) Chinese. It certainly is interesting and educational, but the book is a bit repetitive towards the end as the main point has already gone through by then. The book is however still a light and fast read. This international best-seller is a 500+ page novel about three generations of Chinese women. The author’s grandma, mother and herself. Starting in the early 1900s over the years and the major changes that the poeple of China went through, all the way to modern time. 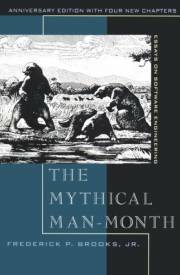 While a slightly harder read, I’d say this is much more interesting in comparison to the previous one, and it offers a great insight to why many of the cultural differences mentioned in the first book exist in the first place. It shows a people tormented by their leaders in many different ways, and a people that have learned the hard way to obey whatever they say and to stop thinking by themselves.